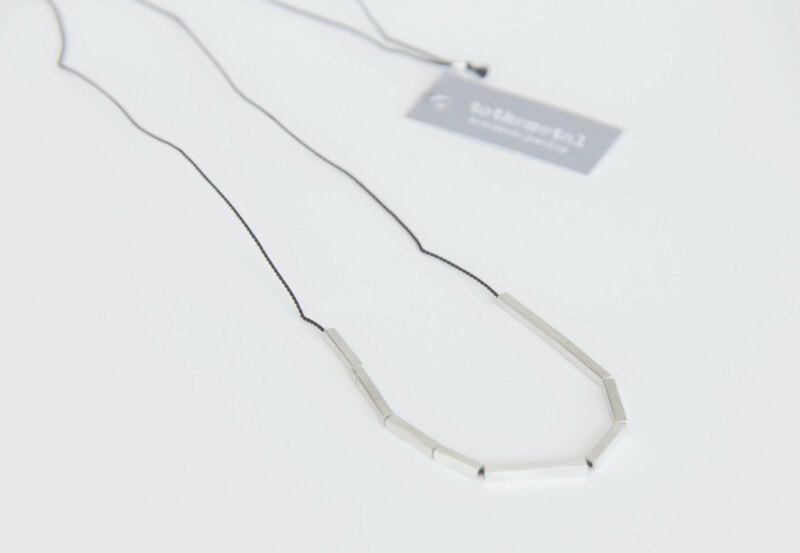 - Ten hand cut pieces of tiny sterling silver square tube, in different lengths, hung through a black silk cord. - The pieces of sterling silver square tube measure 2mm in width. 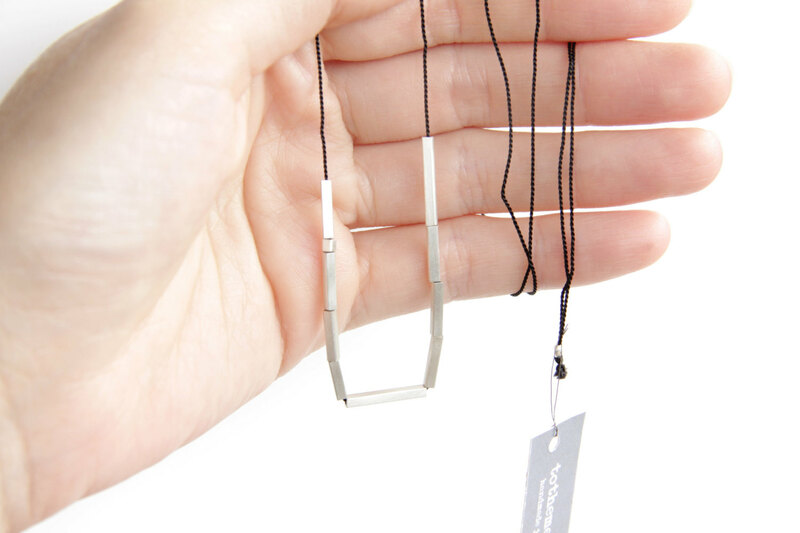 - The necklace is worn over the head and measures 66.5cm long (26.18 inches).